On the heels of a record-setting 2016, the Port of Longview in the USA continues to demonstrate its cargo-handling expertise with another strong performance for the first half of 2017. The port’s mid-year cargo volume of 5.2mt (million metric tonnes) is up nearly 10% above last year’s volumes from the same time period. As of August 2017, the port has seen significant increases in bulk agriculture exports, bulk minerals and logs. Upwards of 300,000,000 kilograms of bulk minerals have been exported, a 56% increase. Additionally, more than 300,000 board feet of logs have been exported to Asian markets, an uptick of about 18% from 2016 mid-year reports. 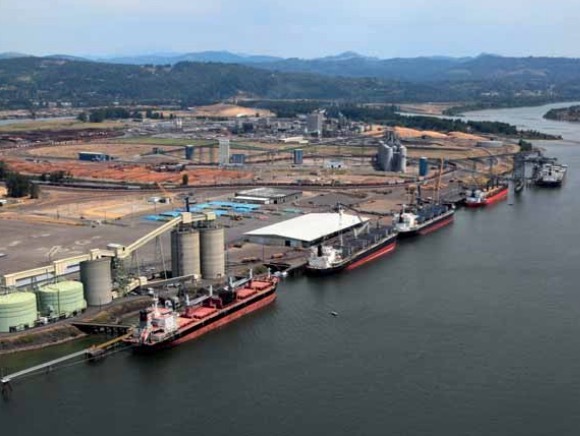 EGT, the port’s export grain terminal, has shipped out over 4mt of bulk agriculture products to date, an increase of 36% over this time in 2016. These increases can be credited to significant tonnage increases in both soybean and corn exports over the past year. With bulk tonnage on the rise and breakbulk and project cargo continuing to move across the docks, the port is in a strong position to maintain this momentum through the end of the year.